There’s little doubt that the kitchen in your Rochester home has a huge impact on the look and feel of your entire home. It’s why homeowners pay so much attention to the details that go into creating their dream kitchen. That’s true whether you’re building a new home or remodeling your existing Rochester kitchen. Your kitchen, however, should be a reflection of what’s important to you. It should reflect your personality. What’s your kitchen personality? How can you match your Rochester kitchen to your persona? When I say your kitchen should match your persona, I’m not talking about whether you’re an introvert or an extrovert. I’m talking about having a kitchen that matches the way you live and how you like to use that space. Here are some examples of different kitchen personas. You may not find one that matches you exactly, but the idea is that the kitchen should be designed to suit your specific lifestyle. Cindy the Casual Hostess is all about convenience and making guests feel welcome in her kitchen. She’d rather spend time with her guests than spend time preparing meals and trying out exotic recipes. That’s why her kitchen appliances and design focus on ease of access and ease of use. Her kitchen has lots of space for family and guests to linger while food is being prepared. It’s open to the Family Room so that everybody feels connected. Cindy’s family also eats breakfast in the kitchen area so she might opt for a built-in breakfast bar at the center island or even a breakfast booth right off the kitchen. Gourmet Gina is really into gourmet cooking. It’s not just something she tries occasionally—she’s passionate about it. She reads up on the latest cooking trends and even watches gourmet-cooking shows. She can’t wait to try out the newest recipes. The layout of her kitchen reflects that passion. She designs her kitchen space to enable her to do the kind of intensive cooking she and her family enjoy. It’s all about efficiency and preparation in Gina’s kitchen. For her, the "Kitchen Work Triangle” is extremely important. She still likes to host meals and have friends over, but her guests enjoy their special meals in a space adjoining the kitchen—not in the kitchen itself. Emily the Entertainer is a true social character. Her kitchen is the place where she hosts friends and guest—for a glass of wine or for conversation while she prepares a meal or a snack. That’s why she wants a kitchen that’s spacious and gives guests room to mingle without worrying that they’ll get in the way of the preparation. Entertaining and doing food preparation in the same space means that Emily needs lighting that will enable her to easily complete tasks such as chopping, cutting, washing, and stirring. But then, when the prep work is done, she can switch over to ambient lighting that makes guests feel comfortable. Thoroughly Modern Melissa is a big fan of modern design using clean, sleek lines. Countertop clutter is one of her pet peeves. That means she has a kitchen that allows plenty of storage space to keep things off the counter. If possible, she may even include a separate pantry for food items and seldom-used appliances. Her penchant for modern style also shapes her selection of cabinets, countertops, backsplash, and flooring—and she gravitates toward simple colors with bold accents. Carol the Country Girl is a fan of warm, inviting, country-style décor. She wants her kitchen to be a place where friends enjoy a relaxing a cup of coffee or tea while talking about anything (or nothing). Her kitchen is a relaxing place so she chooses cabinets, counters, sink, furniture, and colors that are warm and comfortable. She does have a preference for natural materials such as reclaimed wood and metals that give her kitchen a comfortable “lived-in” feel. You can see that some personas tend to be more driven by function (cooking or entertaining style), while others focus a bit more on aesthetics. Knowing what’s most important to you helps you work with your builder or remodeler to help create a kitchen that makes you feel comfortable and at home. If you’re looking for additional help to match your kitchen design to your personality, download our free Creating the Ideal Kitchen eBook. This helpful guide will help you identify the features you’ll want to build into your ideal kitchen. Which Remodeling Trends Matter Most For Your Rochester Home? 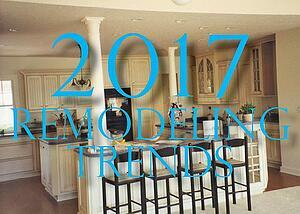 Every year industry experts talk about the newest trends in the remodeling industry. You’ll hear about these trends on home improvement sites such as houzz.com or on remodeling shows on television. A lot of what you’ll hear or read tends to focus on interior design: What are the “hot” colors this year? What kinds of backsplash materials are “in?” Which hardware finishes are most popular? Those are all interesting and important items to consider, but which remodeling trends matter most for your Rochester home? I’d like to suggest that real remodeling trends—ones that have staying power—focus more on functionality and changes that come about in response to homeowners’ changing lifestyles. Let’s look at a few of these kinds of remodeling trends in some key areas of your Rochester home. Kitchens have changed dramatically over the years. They’re no longer simply spaces for food preparation. These days, people use them for entertaining, cooking, casual dining, and even family meetings. While color changes and finishes may constantly change, one trend that seems to have great staying power is the use of kitchen islands as a major feature in kitchens because they lend themselves to multiple uses. Take a look at some of the kitchen projects we’ve worked on recently. Bathrooms are kind of a big deal in today’s homes. There’s a good reason for that. This is a room you use multiple times a day. It’s where you get ready to meet the challenges of the day and it’s also a place you relax at the end of the day. A couple of trends in bathrooms have been to make them more comfortable and functional. That means dual sinks and more space for getting ready in the morning. And when it comes to comfort, many homeowners have replaced old conventional tubs (and even whirlpools) with elegant soaking tubs and spacious showers that enhance relaxation. Here’s a look at some of the things you’ll want to consider as you plan your bathroom remodel. Even though open floor plans have been around for a few years they continue to be a popular trend. It’s a way to bring more natural light into your home and it also gives the inside of your home a more spacious feel. Often homeowners choose to repurpose existing rooms to meet their changing needs for things such as a home office, a guest bedroom, or a multi-purpose family room/entertainment room. You can even finish out your basement or convert your garage into extra living space. There are also trends in home additions that are worth noting. There has been an increase in the number of multi-generational households over the past few years. Often that requires adding physical space that can be used as an in-law apartment (which can be used for older parents moving in, or for adult children who are still working on getting started in their own careers). Click here for some inspirational images of how you can add beautiful—and needed—space to your existing home. One choice you’ll face when choosing a floor plan for your new Rochester-area home is how many stories your home will have. You can chose from a wide variety of different floor plans that include one-story, two-story, and one-and-a-half-story homes. In addition to impacting your lifestyle now and potentially inthe future, the number of stories your house has can impact the cost of your home. The fact of the matter is that it’s not just the number of stories (of floor levels) that impact a home’s cost. The overall size of the home, of course, plays a big role. For instance, if you build a 2,000 square foot 2-story home and a 2,000 square foot single-story home, the one-level home will almost always be more expensive to construct. But being happy with your home is about more than just square footage—or a slight difference in cost. What you really want is a plan that meets your needs and makes you feel comfortable. The simple fact of the matter is that one-floorplan won't fit the needs of every individual. These days, we find that many of our clients prefer open floor plans for their common rooms (kitchens, dining areas, family rooms). A ranch-style home in the range of 1,600 to 1,800 generally allows us to build a home that offers everything they want, such as a first-floor master bedroom, and easy access to everything. The cost for that is generally less than it would be for a similarly designed two-story home. That's because the two-story home will generally need to be a bit larger to include the features you want on the main level—and still have rooms upstairs. So what about the cost for a one-and-a-half-story home? Prospective homeowners are frequently surprised to discover that this is generally the most expensive option. Part of the reason for that is that a one-and-a-half-story home usually has a good-sized first floor and a rather small amount of space in the upstairs. The dimensions of that small second floor prevent us from using standard trusses, and have to build flooring and other structural elements out of what we call “stick frame.” Unfortunately, that’s a more expensive process—and that makes the home cost more. As I mentioned earlier, being happy with your home depends on more than square footage and cost. A much bigger factor is finding a floor plan that fits your needs (and your budget). 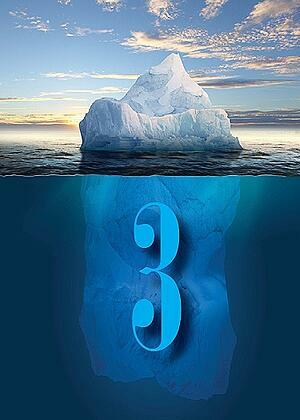 Most of us know that when you’re looking at an iceberg, what’s below the surface matters more than what you see above the surface. It’s the hidden danger that presents the real problems. The same principle holds true when you’re planning a new home in Canandaigua. Sometimes little things can have a big impact on your building experience—and on your enjoyment of your new home. Let’s take a look at three things that may not seem that big at first, but which can have pretty serious ramifications down the road. Setting an Unrealistic Budget.Setting a budget for your new home may not be the most fun part about building a new home in Canandaigua, but there’s no denying its importance. The thing is, there are actually two ways this small choice can have a big impact. If you plan on more home than you can really afford, it can cause a lot of stress. Some of that can come during the building process when you want to make some relatively minor modifications that would make your home more comfortable. If you’re maxed out to the last dime you won’t be able to make adaptations. Or you may not be able to handle unexpected expenses that come up. On the other hand, if you try to cut corners on a home (when you can realistically afford it) you may get the “bargain” you were after, but you’ll very likely be unhappy with the features of the home. And if you make changes later (to get what you really wanted) it will actually cost you more. Selecting a Floor Plan That Doesn’t Fit: Make sue the floor plan you choose really fits your lifestyle—and will continue to meet your lifestyle for years to come. As you look at plans (and we have plenty of options from which to choose) take into consideration how you like to entertain. Think about how your family may change in five years or so. And keep in mind that it’s not just the amount of square footage that matters, but how the rooms are configured. If you want a home that offers you the option for main level living down the road, plan ahead for that now. Settling for the Wrong Builder.Not all floor plans are created the same and not all builders are the same. You want to deal with a builder that has experience, a good reputation, and who has built the kind of home you want. 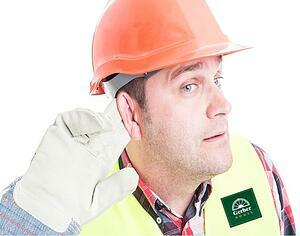 Perhaps the most important thing you want to look for is a builder you can trust. Obviously, you’ll want to see examples of what your prospective builder has done and you’ll want to check references. But trust is built on more than that. In many ways, trust is built by knowing that you have a builder that will listen to you and take your ideas, dreams, and questions to heart. Here’s a helpful post that talks about the importance of finding a builder who will earn your trust by listening to you. Those three things may not seem monumental when you’re beginning to plan your new Canandaigua home, but ignoring them can have a huge impact on the home you’re planning to live in for years to come. For a lot of people living in the Rochester area pets are a big part of family life. 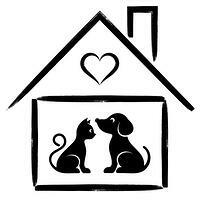 Wouldn’t it be nice if the new home you built in the area made your pets feel like pampered members of your family? There are some innovative (and fairly simple) custom touches you can add to your new home to make it a truly pet-friendly environment. Let take a look at some examples of some things we did recently to help clients create a “Fur Baby-Friendly” place for their pets. A Pet Portal: If you have a pet that likes to go in and out multiple times during the day, you may get a little weary of constantly opening and closing the back door. Here’s a clever solution that let’s your pet go in and out whenever it wants (without having to ask you first). This custom pet entrance allows pets to go out anytime through a swinging door that seals out heat, cold, and moisture. It provides a ramp to let animals access the yard easily. A Window on the World: Both cats and dogs love to perch in a comfortable place where they can survey their domain and keep an eye on happenings in the neighborhood. This pet window seat is perfect for that. It’s low enough that pets can easily access it. It’s even a nice window seat for children! You can cover it with a washable pillow in order to keep it looking nice. And it may just help keep pets off the furniture! A Custom Retractable Pet Gate: Often families will want to keep their pets contained in a particular room or area of the house. But many people aren’t fans of those clunky-looking portable gates that you can buy at pet stores. They often don’t fit well and they aren’t the most attractive things in the world. Here’s a much better solution. It’s a custom, built-in, retractable gate that looks like it was actually made to be part of your home (because it was!). This stylish gate operates smoothly and then disappears into the wall when you don’t want to use it. You never have to find a place to store it (or look for it later) because it’s right where you left it. Plus, it’s much more solid and stable than those portable gates from the store. A Custom Pet Spa: Anybody who has ever struggled to give a dog or a cat a bath in the family tub knows what a struggle that can be. And when you’re done, there’s pet hair all over the bathroom in the drain. This custom pet spa solves that problem. Install this pet shower/bath in your basement, mudroom, or laundry room. There’s plenty of space to get your pet in and out without having to life it into a tub. And it saves wear and tear on your family bathroom. If pets are a big part of your family, we’ll help you take care of them and make them feel at home in their new house. And don’t worry . . . we won’t forget about you, either. We have dozens of great floor plans for you to check out in order to find the perfect fit for the two-legged members of your family. And if you need customization of features on these plans, we’re here to help! Every year when the calendar gets flipped over to December, we start hearing about what we can expect in the New Year. It’s certainly true for homeowners and people in the remodeling industry. How does that affect you if you’re planning to remodel your Rochester-area home? How will those things impact the changes you make to your Rochester-area home in 2017? For one thing, you may want to think about how your home can continue to meet your needs both now—and into the future. Here’s a post that talks about some of the details you’ll want to consider. If you’re planning to add space to your home, you may want to think about adding space that could be used if extended family members come to live with you. Multi-generational living situations are on the rise. 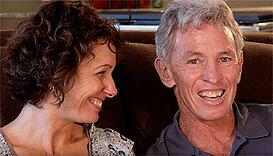 It could be that you’ll want to have aging parents live with you. Or you might want to provide space for grown children who are not quite out of the nest, yet. Here’s some helpful information to keep in mind. Both of those things reflect significant trends that have been gathering momentum for some time—and will continue to do so in 2017. Another trend has become so mainstream that it’s sometimes easy to overlook. But homebuyers are increasingly looking for homes that are energy-efficient and easy on the environment. That’s certainly something any remodeling project should reflect. Here’s a look at what it really means to live green in the Rochester area. 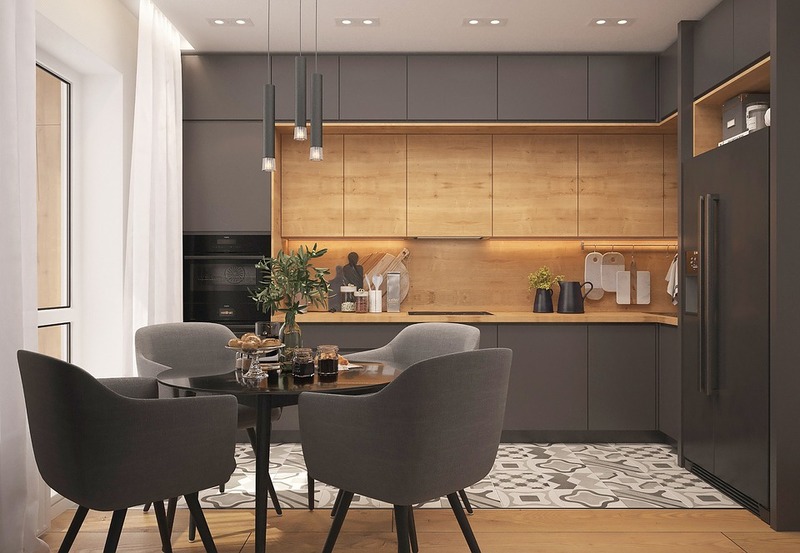 So as you look forward to possible remodeling projects for the coming year, look beyond color trends and which fixtures or finishes are expected to be hot. Pay attention to the trends that really matter and will enhance your comfort and convenience in your Rochester-area home. A big part of building the home of your dreams involves finding the right builder for your project. For a lot of individuals, that means finding a reputable builder with the right building skills. Of course that’s extremely important, but some of our past clients cited another ability as a big reason they chose Gerber: Our ability to listen. Why is that so important? One reason is that building a custom home is a rather unique endeavor—one that starts with your vision of what you want your home to be. Your home should reflect your style and personality. Exactly what that is may not be obvious on the surface. You’ll want to find a builder who can grasp your vision and then work with you to create the home you’ve always dreamed of—instead of adapting your vision to his or her plan. We recently had clients tell us, “I know you build lots of homes, but this is the only one we’re building!” We get that! It’s why we work with customers every step of the way—from choosing the right property to creating the right floor plan to making the final finish selections on the inside of the home. But to do that, we need to know what our customers want and think. Frankly, there’s no better way to do that than to talk to them and listen to their thoughts, their concerns, their ideas, and their questions. Even though we are one of the largest privately owned area builders, that doesn’t mean we are “too big” to get to know every one of our customers. After listening to our customers, our consultants are ready to guide them through our 6 personalized steps to buying a home so they can understand everything they need to know about process. That empowers them to make the best choices for their unique goals. Of course it’s one thing for us to talk about how we listen to customers, but we think our customers do a better job of explaining how important that is—and of describing what the custom homebuilding process with Gerber is like. We invite you to click here to hear how Scott and Sherri describe the process they went through when we built their new home in Victor. If you want a home that reflects your personality, your lifestyle, and your sense of style, make sure you select a custom homebuilder who will listen to your vision and come up with a plan to turn that vision into reality. When you’re thinking about building a new custom home in Ontario, Perinton, Webster or anywhere else in the Greater Rochester area, it’s easy to focus on the cost of the home. It’s important to have a realistic budget for your home. If you try to take on too much house, you probably won’t qualify for the loan. And even if your do, you may find yourself stretched beyond your comfort level. It’s no fun living in a home if you can’t afford to furnish it or if you’re constantly stressed by the monthly payments. The real issue, however, isn’t just how much you pay for your home—it’s how much value your home delivers for the money you spend. You may want to check out this post, which talks about getting a fair price for a new Rochester-area home. One of the big factors to consider when you’re thinking about the cost of a home is the quality of the home. Most new homes look pretty good in the first year or two. But if you’re planning to stay for a few years, you’ll want a home that’s solidly built and will stand up to the use you give it. That’s one good reason to check out homes your prospective builder built several years ago; you can see how well they are maturing. Do they still look great, or are they starting to show signs of wear and tear? For three generations, our family has been building homes in the eastern Rochester area. You can choose from more than 3,000 existing homes if you want to check out the quality of our products! As proud as we are of our quality craftsmanship, true value in a home involves more. In addition to quality of construction, you’ll want to think about how the home meets your specific needs. 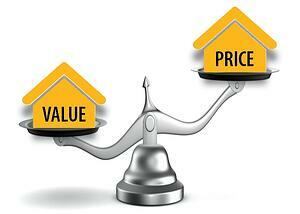 What are some of the things that add value to your home? Here are a few considerations to keep in mind. Location: Where you live is just as important as the physical structure you live in. The quality of the community you call home is so important. So are schools and proximity to work and activities. We build in a wide range of locations around the Rochester area, including Webster, Canandaigua, Perinton, Ontario, Victor, Sodus, Penfield and numerous other communities in the region. Design: A comfortable home doesn’t just happen. The design of your home needs to fit your specific lifestyle—with a configuration that matches the way you live and entertain. Take a look at the wide variety of floor plans we offer in a range of sizes and styles (including Colonial homes, first-floor masters, patio homes, ranch homes and Cape homes. Size: Some people will say that size doesn’t matter, but when it comes to your home, you’ll want to think twice about that. You may not need a large, two-story home, but when you’re considering building, you’ll want to keep the future in mind. Spending a bit more for extra space now can actually save you a lot of money later if your needs outgrow the home you’re in. Money does matter when it comes to building your custom home. But the value you get from your home (in terms of overall comfort and quality) is more important than pure price. And if a lower-priced home doesn’t deliver long-term quality and value, it’s no bargain. Does Building a New Rochester-Area Home Make Sense for You? 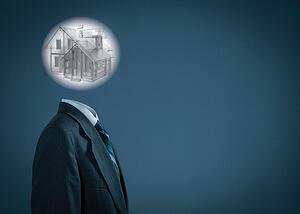 Owning your own home—and especially building your own custom home—is a big part of the American dream. Timing, however, plays a big role in whether you can make that dream a reality right now. Does building a new Rochester-area home make sense for you? Here are a few things that can help you decide if building a custom home really makes sense for you right now. Does Making Decisions Energize You or Drain You? One thing that makes building a custom home a challenge is that you get to (and have to) make a lot of decisions. Some people love the idea of making all the decisions (floor plans, locations, finishes, fixtures, etc.) that make a custom home unique. If those kinds of decisions wear you out, you may not want to put yourself in that position. Do You Change Your Mind A Lot? Building a custom home gives you lots of opportunities to make changes. If you have a hard time sticking with a (good) decision, the options can be a huge challenge. And if you’re not careful, the changes you request can severely delay construction and drive your costs up. Do You Have the Time? This is related to the first question. Not only will you need to make decisions, but in order to keep things moving, you’ll need to be available to your builder to deal with questions that come up. If you don’t have the time or energy to do that, you may resent the intrusion the homebuilding process brings to your life. How Will This Affect Your Family? You’re not the only one who will be impacted by the building process. If you have other issues you’re dealing with, ones that require your time and attention, you may want to hold off for a while until things have settled down. Are You Planning to Stay for a While? If you have a job that might require you to move soon, building a custom home may not be the right choice right now. That doesn’t mean you can’t do it or shouldn’t, but the timing may not be right at the moment. If you’re not sure whether it makes sense to build a new home or to remodel the home you’re currently living in, download our free Create Your Dream Home e-book. There are some additional ideas in there that will help you decide whether to build or to remodel. 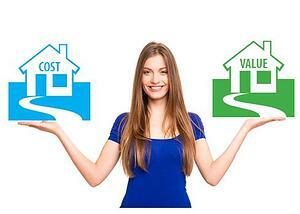 Building Your New Home: Are You Focused on Cost or Value? It’s not a bad question. In fact, it’s essential to have a good idea of what you’re getting into before you jump into the process. You really want to keep an eye on your budget—and on the things that can cause you to go over your budget. But the question of cost should only be part of your consideration. If you’re looking to build a new home, you also need to focus on what kind of value you’re getting for the money you spend. Your goal shouldn’t be to get a house for the lowest possible price. Instead, you should be thinking about how to get the house that delivers the most value for what you can realistically afford. What are some of the factors you should consider? Let’s look at a couple of things that matter the most. Community: You’ve probably heard real estate agents talk about the importance of “Location, location, location!” They’re not just repeating some marketing mantra. Where you live is incredibly important and plays a huge role in how much enjoyment you’ll get out of your new home. But location is about much more than your street address and how close you are to the nearest stores. We build in some of the best communities in the eastern Rochester, NY area, including Webster, Canandaigua, Ontario, Perinton, and many others. Each has its own charm and advantages, and you’ll want to pick the one that best matches your personality and needs. Click here to see the communities from which you can choose. Design: The design of your home is about a lot more than just the outward architectural style. And while we build colonial style, patio homes, ranch homes, cape homes, and more, it’s what’s inside that truly matters. The size of the home (the square footage) is important. If you have a larger (or growing) family, you’ll need space for everyone in your family to be comfortable. But the design of your home—how the home is laid out and how the rooms connect to one another—is every bit as important. Do you want multi-level living or a plan that has everything on one level? Do you want all bedrooms on the upper level for privacy and quiet? Or do you want a master bedroom on the main level so that you can continue to live comfortably there for years to come? How many bathrooms will you need so that everyone has enough space to get ready for their day? Click here to take a look at the many options available to you. Is the cost of your home important? Of course! But when you’re looking for a new home, make sure you focus on what you’re getting for the money you spend. Getting a great deal may make you happy in the short run, but you’ll enjoy the value your home delivers for years to come.